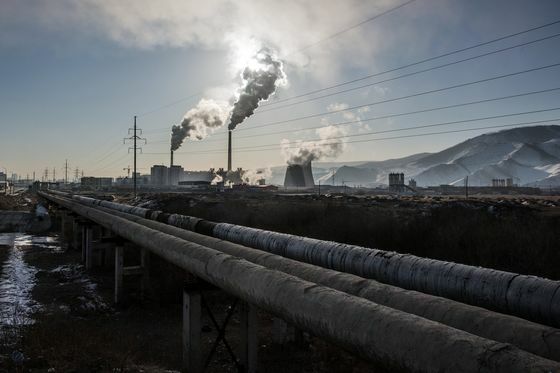 (Bloomberg) -- It’s hard to escape Genghis Khan in Mongolia. The 13th century conqueror has donated his name to the capital’s airport, a hotel, a central avenue, a garden, a club, even a brewery. 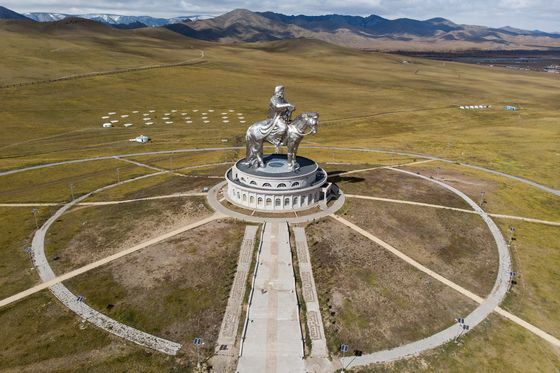 Yet none evoke the spirit of autocratic power and greatness better than the shining 40 meter (131 foot) high equestrian statue of the warrior built by President Battulga Khaltmaa on the Mongolian steppes. 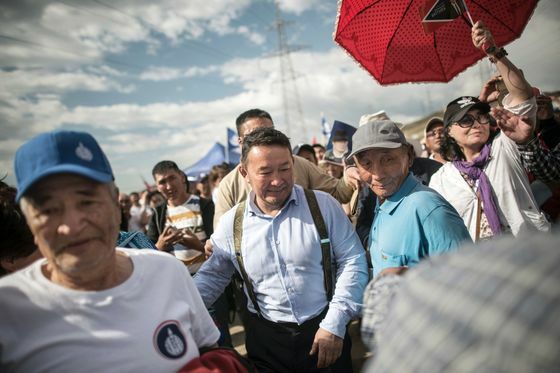 Now, less than two years after Battulga’s election, some fear his widespread popularity and campaign to root out corruption may be moving the president’s authority closer to that of his hero at the expense of democracy, and shifting Mongolia closer to China and Russia. With support from parliament, Battulga passed a law that effectively gave him far-reaching powers to dismiss judges and senior members of the nation’s legal system via his role as chairman of the National Security Council. He wasted no time in immediately removing a Supreme Court judge and the country’s highest prosecutor. The deputy general director of Mongolia’s Independent Authority Against Corruption may be next. Anti-corruption group Transparency International and human rights organizations including Amnesty International say the move is an erosion of the country’s democratic values. “There won’t be enough checks and balances,” said Badamragchaa Purevdorj, justice program manager at the Open Society Forum in Ulaanbaatar. But voters have become angered by successive governments’ failure to deal with issues such as air pollution and widening income disparity. And Battulga’s tough-guy image and populist campaign to attack corruption have given him widespread popularity. At stake is Mongolia’s international image in a delicate game it has been playing to balance the influences of Russia, China and the U.S. While Western democracies see Mongolia as oasis of democracy, sandwiched between Russia and China, the country relies largely on its neighbors to buy its resources and provide investment. In March, China bought 86 percent of Mongolia’s exports. A trade agreement introduced this month in the U.S. Congress -- the Mongolia Third Neighbor Trade Act -- would remove duties on exports such as cashmere, which Mongolia is pushing to diversify its trade away from minerals. U.S. Senator Ben Cardin, who co-introduced the bill, called Mongolia “a stable democracy in a sea of authoritarianism” that contributes to U.S. national security goals in Asia. In an April 11 statement, he said the act would bring employment to the country and help empower women, who comprise most of the country’s garment industry. But Battulga also wants closer cooperation with the eight-member Shanghai Cooperation Organization, an Asian centered security and economic group that includes China and Russia. 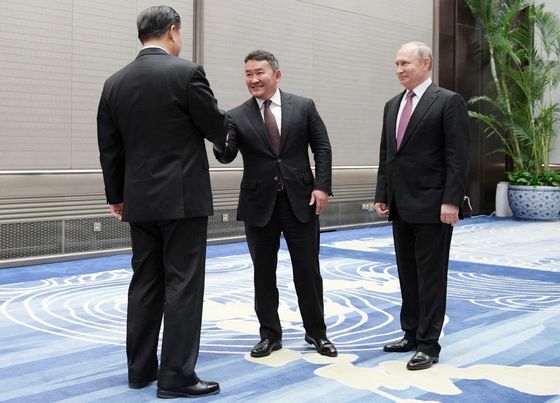 In a meeting with Russian President Vladimir Putin in Vladivostok in September, Battulga said relations with Russia were a priority for Mongolia. The Mongolian president’s advantage is that his political support at home cuts across parties. While the heads of some of the world’s leading democratic countries may be having trouble winning support from polarized parliaments, Battulga has no such problems. His popular support and promise to battle graft have given him a strong position in a parliament that has been embattled by months of protests over corruption. Thousands of Mongolians gathered in the capital in temperatures 20 degrees below zero in January to protest against political elites that are popularly called Manan, Mongolian for fog, a word created by meshing the acronyms for the two main political parties. Battulga, a vocal critic of oligarchs and elites he accuses of pulling the strings in government, appeals to many voters because of his image as a tough-guy outsider, independent of a tainted political system. He is a self-made millionaire and a martial arts champion, who competed in Russian sambo wrestling. As the former head of the Mongolian Judo Association, he lead the country’s judo team to take the nation’s first Olympic gold medal during the 2008 Beijing Games. Despite his wealth and fame, Battulga has won over the public as a man of the people. “I respect him because he’s one of us, one of the ordinary citizens,” said Narantsetseg Batkhuu, 53, a Democratic party supporter who was protesting near the Government Palace at another demonstration on April 10. The president’s own Democratic Party has only nine seats in the 76-seat legislature, the State Great Hural, after suffering a huge defeat in the last election. But the motion to extend the National Security Council’s powers was supported by many first-time lawmakers elected in 2016, and the bill passed with 85 percent in favor. Notably, the other two members of the security council are Prime Minister Khurelsukh Ukhnaa and the influential speaker of parliament, Zandanshatar Gombojav, both from the majority Mongolian People’s Party. 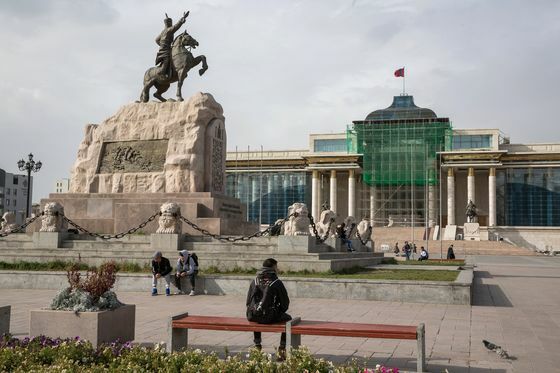 In Mongolia, the prime minister holds executive power, with the president having right of veto and judicial appointment powers as well as being head of the nation’s armed forces. But presidents over the past decade have increased their influence, raising concern the office is beginning to rival that of the premier. Naranjargal criticized elected officials for hastily passing a law before accepting any input from voters. She argued that the amendment is unconstitutional and hopes that a case will eventually come before the Constitutional Court to strike it down. A statement from the President’s Office said concerns about sweeping powers were overstated. "The only change is when the National Security Council issues a recommendation on the temporary suspension of judges," until deliberated on and fulfilled by a judicial council, the statement said. In making his case for the rule change, Battulga cited accusations of torture to convict suspects in the of assassination of a former politician in 1998 and concern about the purchase of 49 percent stake in the Erdenet copper mine. The president’s proposed legislation passed just 48 hours after introducing it and took effect immediately. Enforcement normally begins only after laws are published in a state periodical. That’s rattled some parliamentarians, including some of Battulga’s own party, who were among the few who voted against the motion. Sukhbaatar said the law’s passage was a symptom of Mongolians’ loss of faith in democracy. “There are more and more voices inside Mongolia preferring authoritarian rule, like in Russia, like China,” he said. That’s not surprising. Mongolia’s short-lived mining boom in 2010-2013, ended when commodity prices fell and disputes between the government and foreign mining companies curtailed investment, forcing the country to be bailed out by the International Monetary Fund in 2017. 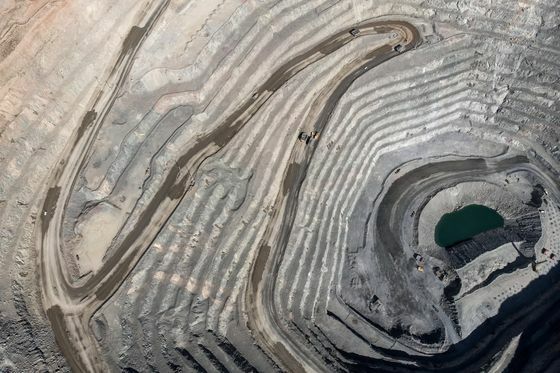 A shift in power could further complicate investments in the country, especially for mining companies as new and old deals come under increased scrutiny. 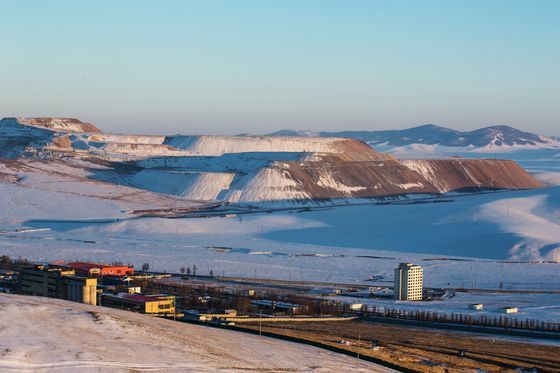 The nation’s largest foreign-investment project, Rio Tinto Group’s Oyu Tolgoi copper and gold mine, is already embroiled in a corruption investigation involving the former finance minister responsible for signing the deal in 2009. Rio Tinto and its local unit Turquoise Hill Resources, did not respond to requests for comment. In its 2018 financial report, the company said it was complying with the Mongolian Anti-Corruption Authority’s requests regarding possible abuses by former government officials, but that it had not received any notice from authorities that its operations or employees were the subject of any investigation. Gross domestic product per capita in the nation is $3,771 a year, and many Mongolians feel that even that wealth is unfairly distributed. 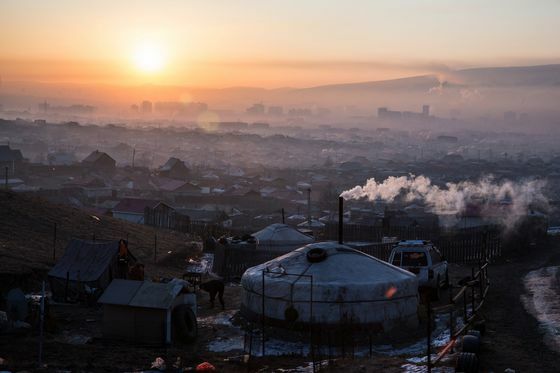 With an economy skewed towards its huge coal and ore deposits that enriched oligarchs in the capital, the rural population has been pouring into Ulaanbaatar, looking for jobs and services like healthcare that are scant in rural areas. Between 2010 and 2016 more than 245,000 people arrived in the city, bringing the population to 1.5 million, or about half the national total, according to the government statistics office. They created sprawling districts of traditional ger tents on the outskirts where about 60 percent of the city’s people live. The image of wealth, independence and strength are melded in his biggest entrepreneurial project before he became president, the Genghis Khan Statue Complex -- a kind of 13th century Mongolian theme park, complete with traditional ger camps, craftsmen, archers, horses and a museum, all crowned by the giant statue of the Khan. Standing as tall as the Christ statue in Rio de Janeiro and wrapped in 250 tons of stainless steel, visitors can climb through the belly of the horse to a viewing gallery on the horse’s mane and look out across the steppes. For many Mongolians, the president represents a new broom that will sweep the country clean and improve the lives of ordinary people. Others hope his alliance with parliament will help end the deadlock that has held back the economy and reform.